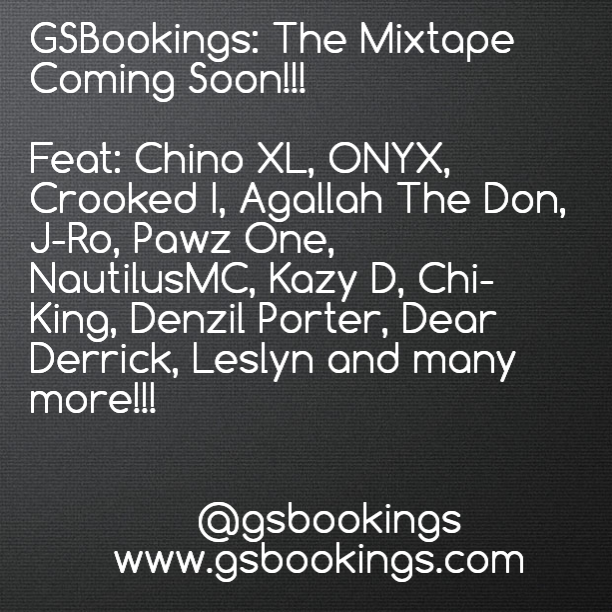 Home › Independent Spotlight › GSBookings Presents: The Mixtape Coming Soon!!! GSBookings The Mixtape Coming Very Soon!! Featuring artists such as Chino XL, ONYX, Crooked I, Agallah The Don, J-Ro, Pawz One, NautilusMC, Kazy D, Chi-King, Denzil Porter, Dear Derrick, Leslyn, COB Canada and many more!!! ‹ Hip-Hop Kemp Festival Coming Soon! !